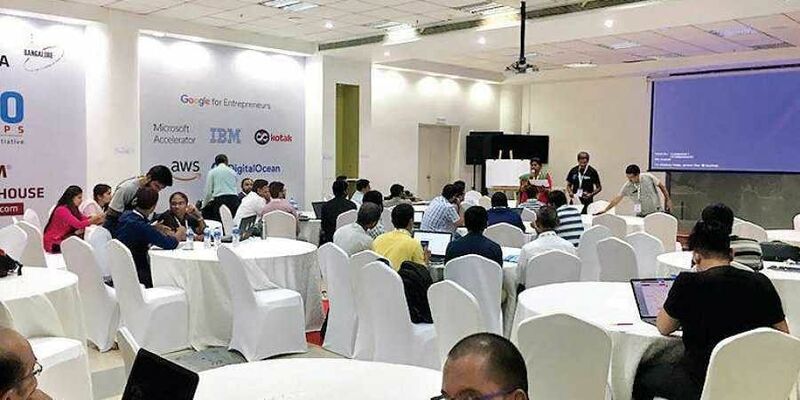 BENGALURU: Coders from across the city are prepping to be a part of the Global Call for Code Global Initiative, in what is believed to be a first in the country. The initiative aims to get coders to focus on developing solutions that ‘reduce human suffering and the number of people affected by natural disasters’. The initiative, which kicked off from the city recently requires coders to focus on it for a period of five years, with the first year themed around natural disasters. IBM is one of the founding members of the Call for Code. Speaking with City Express, Seema Kumar, Country Leader, Developer Ecosystem, Startups, IBM India/South Asia, highlighted some areas where the coders could help. During the floods in Northeast India, for example, financial aid to these areas was crucial. “An end-to-end solution to ensure that such aid reaches the right people and departments using blockchain technology is something that could be a solution that could be looked at,” says Seema. Citing another example, she highlights the need for better communication to locate people during natural disasters. AI technology could be used to recognise and find people in such situations, adds Seema. Representatives from Oxfam visited coders during a session here to give them an idea of the ground situation during natural calamities.After Bengaluru, the Call for Code events will travel to Pune, Hyderabad, Chennai and Gurugram. These are meant to help developers get hands-on experience on IBM technologies. Developers will use the company’s tools, software and tech to arrive at the desired solutions. Seema says, “T9 take an instance, IBM has designed certain code patterns. The developers can further customise them to suit their solutions.” It will further provide access to cloud, data, AI and blockchain technologies, along with training and code to help jump start projects. Another coder, Mohammad Zakir Hussain from Eforce says his team plans to work on two plans. “One is to find a solution for financial risks in future, and another to detect major earthquakes.”The global initiative also has the support of international humanitarian bodies such as the United Nations Human Rights Office and the Red Cross.